Dragon Ball Super Episode 128: You can watch the live streaming online of DBS (DBz) ep 128 on the following portals. The Pridetrooper Jiren, the insanely powerful warrior from the Universe 11 is giving a real tough time to the fighters from the Universe 7 in the Tournament of Power. Jiren is the only fighter left to fight for his team. The U11’s Android 17 sacrificed himself in the last segment to save the lives of the two Saiyans – Goku and Vegeta. With their combined powers, they still find it difficult to defeat him. In the upcoming episode, Vegeta will once again try to take him down. Let’s see how that will go. 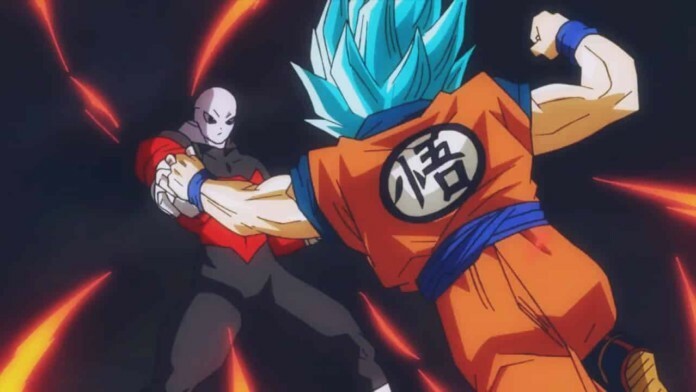 The spoilers for DBS ep128 suggest that Vegeta and Jiren will engage in one-on-one battle. It will take place in the scenario after Android17 gave his life to protect his teammates. He did so to protect them from the powerful energy attack by Jiren. Thus, he was able to save the rest of the two. However, Jiren is still stronger than them while the Saiyans are losing their strength. The ep128 of DBS has been titled “Noble Pride to the End! Vegeta Falls!” We can see that the title doesn’t seem to be good for the Saiyan Prince. After Android 17, it is going to be the turn of Vegeta who will have to sacrifice for the greater good. It’s because Goku still needs time to regain his strength. So, Vegeta will attract Jiren’s attention to buy some more time for Goku. It won’t be a good time for Vegeta to fight Jiren all alone and at this critical stage when most of his juice has been drained. It may not only result in his elimination, but he might also end up dead. In the previous episodes, we have seen that Vegeta was becoming sentimental about his family and friends. It may turn up as a forecast of some upcoming tragedy. Vegeta has shown much of his powers and potential so far in the Tournament of Power. He defeated Toppo, the God of Destruction. If Vegeta gets eliminated, then the plot rumors suggesting Vegeta and Goku’s fusion will come to an end. It is being said that Goku hasn’t shown/revealed the full extent of his powers. If it turns out to be true, then Goku may win. Dragon Ball Super episode 128 will air on February 18, 2018, at 9 am JST on Fuji TV. The English subbed version will be available on FUNimation, Crunchyroll, and other official sites.